The SSL - 4 quarterpound has more than twice as much output as a traditional single coil. The result is a fat, powerful sound similar to that of a P-90. The hand-polished 1/4 "Alnico V pole pieces and the powerful coil provide plenty of sustain. Pickup specialist Seymour Duncan has a huge program of replacement pickups. 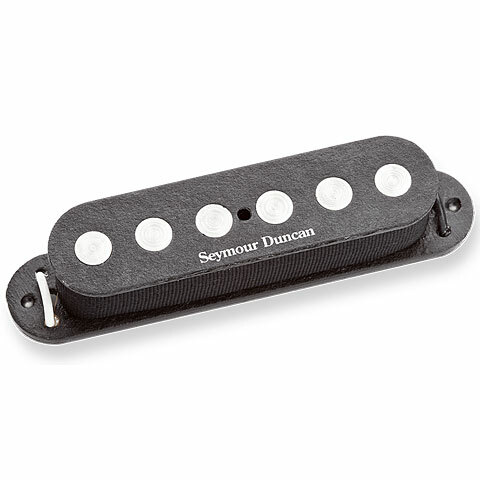 The Seymour Duncan Standard Single Coil series are replacement pickups for Strat, Tele, Mustang and Jaguar guitars. This item was given an average rating of 4.7 out of 5 stars. No review about this product has been written yet. 6 ratings exist without a text or these reviews are written in another language.